Excerpts from the introduction to Poetry For Sale, Haikai no Renga (Linked Verse) with poets Keith Kumasen Abbott, Sandy Berrigan, Gloria Frym, Steven Lavoie, Joen Moore, Pat Nolan, Maureen Owen, Michael Sowl, and John Veglia (Nualláin House, Publishers, 2015). Seasonal themes dominate in haikai no renga. Japanese culture and esthetics prize expressive response to the natural world as its lyric mode. “The classification in linked poetry is simpler,” Earl Miner states in his ground breaking study, Japanese Linked Poetry (Princeton, 1979), “there is the sense that a given stanza has but one of two kinds of main topic, season and miscellaneous. . .with subtopics of love, travel, grievance, Buddhism and so on.” Haikai no renga allows for humor, common idioms, and the more mundane, sometimes scatological aspects of existence as opposed to traditional renga, viewed as exclusive, rigid, esoteric, and ritualized. 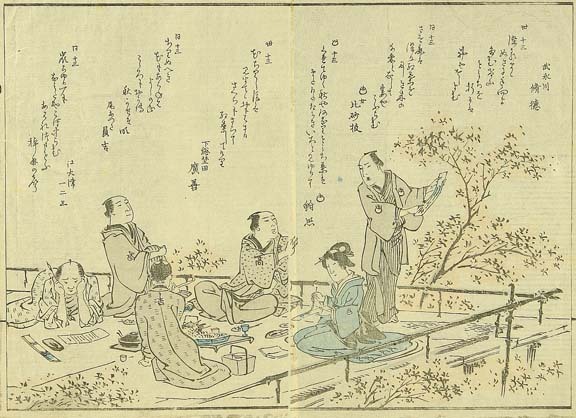 At the height of its popularity in late 17th Century Japan, renku were composed by groups of poets over the course of an evening that included blossom and/or moon viewing, food, and liberal portions of rice wine. The assembled poets belonged to a haikai group, a ka. Renga sequences are primarily group efforts although there are examples of dokugin, solo renga composition, most notably by the poet Sogi (1421–1502), of one hundred stanzas or more—thousand stanza renga were not unheard of either. 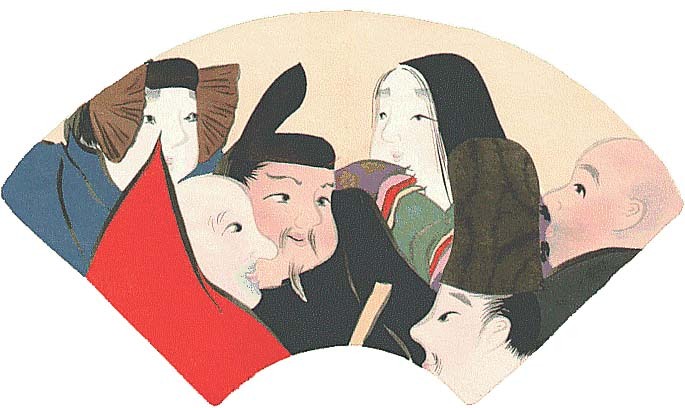 The thirty-six stanza sequence known as a kasen was one favored by Basho and his disciples, the number thirty-six having a special cultural reference, the Thirty Six Immortal Poets. Poems were spoken and copied down by a scribe. The renku master, known as the renkushi, might adjust a line or word, comment on the linking, even reject links too similar to previous stanzas. Socially these haikai groups were comparable to a loose aggregation of musicians coming together on special occasions to put into practice what they know of the form and to test their virtuosity in cooperative composition. “Generally speaking, haikai is steeped in the wit and banter” as Dr. Cana explains, and “it has a brilliance that shocks. Such brilliance is continual and amazes. . .at every turn.” Poets are under pressure to produce the unpredictable so that the possibilities of cleverness are continually exploited at a tempo that is swift and witty. The haikai poets of old delighted in word play, literary allusions, double entendres as well as displays of authentic sensibility. 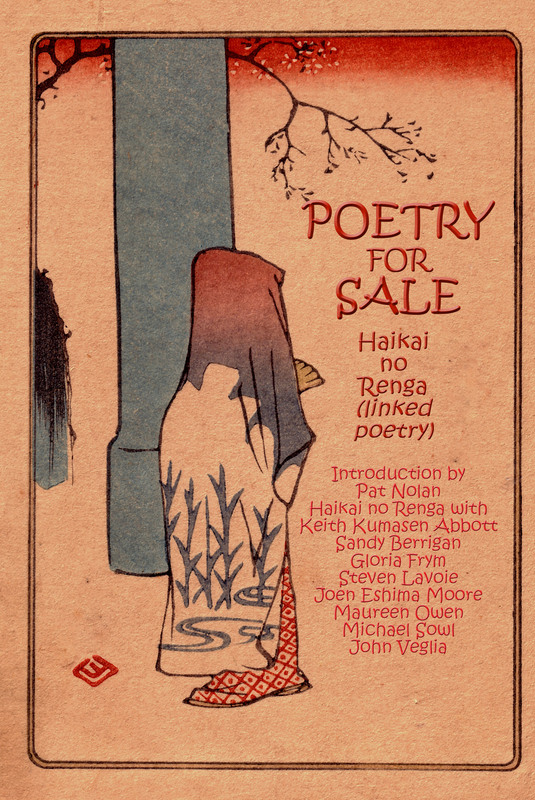 The completed renku is as much a certificate of cooperation as it is a multi-page poem and a sequence of short poems. Its literary value is in its effervescent spontaneity and transitory nature, a quality much appreciated by the Japanese. I was encouraged in my curiosity about haikai no renga by the poet and calligrapher Keith Kumasen Abbott, a long time friend and associate, who steered me to the publication of Earl Miner’s Japanese Linked Poetry in the late seventies. Professor Earl Miner’s explanation of linked poetry, its history, its prosody, in this study, and in the subsequent The Monkey’s Straw Raincoat (Princeton, 1981), formed a solid grounding for my understanding of haikai no renga and the composition of haikai. Most of the innovations and adaptations of method in Poetry For Sale can be credited to Keith Kumasen Abbott and his deep understanding of the form. It was his suggestion that the opening verse of the haikai, generally designated the ‘guest’ hokku, be taken from haiku literature, both traditional and modern, and explains why the renku can open with a stanza by Buson as well as by Jack Kerouac. Abbott created the order of participation, known as the ‘batting order,’ as well as introducing what are designated as ‘specials,’ the flower and moon stanzas in their predetermined position in the sequence. He also determined that the length of the haikai sequence would consist of thirty-six linking stanzas known as a kasen. The idea of doubling the stanzas to place emphasis on the linking process rather than the individual stanzas was Keith’s as well. This was done to emphasize, as Professor Miner noted, that the linking of stanzas produced a unique 31syllable poem resembling a tanka and was to be appreciated outside of the sequential flow of the renga. In essence, each linked stanza creates its own poem as well as contributing to the integrity of the sequence. The repetition of the stanzas serves as a speed bump for Western readers who are used to reading a column of verse in narrative succession and who might miss the subtlety of the unique linking. Professor Miner’s method in his careful exposition of haikai was to repeat the verse to draw attention to the linking process. The doubling of stanzas became a feature of our own renku even though that aspect does not exist in the original compositions of Japanese linked poetry. 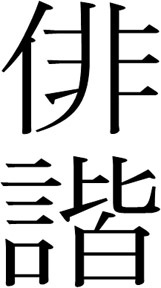 The renku were written at a remove rather than in a group setting since the poets involved lived at a distance from each other, and that meant the links were sent through the mail (before the ubiquity of computers and email). Accompanying the linked stanzas were often rationalizations as to why a particular link was chosen or that a previous link was particularly effective, and so on. In reading these conjectures and motivations, the idea occurred to me to include comments by the authors on their particular links and those of their collaborators. Miner had shadowed his representations of haikai no renga with a commentary on each of the links in his texts, and that method was borrowed for our own purposes. Dr. Maeda Cana had done something very similar in Monkey’s Raincoat by way of highlighting process in Basho’s haikai no renga. Professor Earl Roy Miner (1927–2004), our haikai guide through the agency of his writings on Japanese linked poetry, taught at Princeton and was a noted scholar of Japanese literature. Earl Miner’s The Japanese Tradition in British and American Literature (1958) underscored my attitudes about the importance of Asian literature in the formulation of a personal poetry esthetic. His thorough exposition on Japanese court poetry, Introduction To Japanese Court Poetry (1968), gave relevance to the evolution of renga and haikai no renga, as did the tradition of the poetic diary, Japanese Poetic Diaries (2004), and was essential to my understanding of haikai no renga. At one point I contacted Professor Miner and revealed myself and Keith as adherents to his views and methods of Japanese linked poetry. Professor Miner’s response was cautiously appreciative—we were not the first to knock at his door looking for validation—yet his sincerity in assessing our renku was encouraging. In a letter dated February 16th, 1987, Professor Miner acknowledged a sample of linked poetry entitled Bird Feeder Renku by thanking me for my letter and the enclosed “English haikai or renku.” He went on to write, “I have seen a number of attempts to do versions of linked poetry in English, and I think yours the truest to the spirit of the Japanese. . .I did enjoy your work and would like to see what you finally come up with. You are on to something interesting, and there are Japanese friends who would be interested in what you are doing.” If nothing else, Professor Miner’s reply reinforced my determination in continuing with collaborative efforts in linking poetry. Subsequent correspondence with Professor Miner confirmed that I was doing something right. In a letter dated January of 1995, Professor Miner thanked me for sending him a copy of Cloud Scatter (Tangram, 1994), a selection of what I called tanka but technically tan-renga (single links), adding that he had been asked by Michael Cooper to review Edwin Cranston’s large book of waka translations, A Waka Anthology (Stanford, 1993) for Monumenta Nipponica. 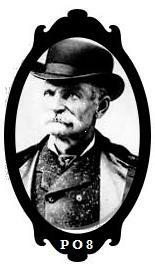 “My response,” the letter continued, “was an omnibus of waka studies of many kinds and forms, and I included some samples of your work that I particularly admired.” Unfortunately, Miner’s wide ranging opinions were beyond the scope of the presentation, and he was “reluctantly” made to abide by the original brief. “You will find with this [letter] the few remarks about you that I squeezed into my frustrated effort.” The outtake Professor Miner provided quoted a few of my tanka with the comment, “If waka is to take seed in our soil, its leaves must also be those of English words. Many people have essayed haiku in English, and some have done tanka that I find superior.” And “With these Dickinsonian sudden rays is a sound as of poetic linking, and it is not surprising to read in the accompanying letter, ‘Some friends and I have been linking verse (by mail) and calling it renga for almost ten years now.’” In honor of Earl Miner’s overwhelming influence on the way I collaborated on linked poetry, I nominated the core cohort of haikai poets “The Miner School of Haikai Poets,” relishing as well the homophonic pun. Keith Kumasen Abbott outlined his understanding of how to proceed in an afterword to Bird Feeder Renku, the one I had sent to Professor Miner. He begins by citing a linguistics professor of his who stated “that unless one were born into them, the Japanese language and baseball were equally difficult to learn.” Writing renku, Keith explains, can be added to that list with the caveat that “the poetry has more irrational rules than baseball and is largely confined to the Japanese language.” As with all the linked poetry we wrote over the years, no claims were made that any of them followed all the myriad rules of haikai no renga. However, certain notions and intuitive understandings gleaned from Miner’s texts were observed. Among the guidelines we adhered to was the idea that, as Keith put it, “two linked stanzas may be read together as a unit, but no three stanzas may be read together without some disruption of either time, place, tone, character, or speaker. All stanzas “[e]xcept for the opening and closing stanzas has to therefore be read twice. Once, as an end to the preceding stanza. And again as a start to the following stanza.” This understanding of the doubling of the stanza emphasizes a key element of the linking process. As Professor Miner explained it, “The essential fact to understand is the inviolable principle that no stanza has a continuing semantic connection, as a discrete poetic unit, with anything other than its predecessor or its successor, linked in continuity at each point of juncture but otherwise discontinuous” has the effect of undermining any sense of plot or conventional narrative. Haikai composition has obvious similarities to film making (or editing) in that the stanzas are spliced together in a relationship or juxtaposition that appears discontinuous but when viewed on completion reveals an intuitive or visceral unity. Each stanza is an image, or multiple images, in relation to each other, viewed close up or distantly, symbolic as well as representational (scene setting, environment) and presented as a complexity of responses, neutral, active, or passive. The composition of haikai is loaded with unpredictability resulting in random, dream-like, metamorphoses. The end result, the text of a completed renku session, can be viewed as the recording of an ensemble’s nuanced and spontaneous intellection. 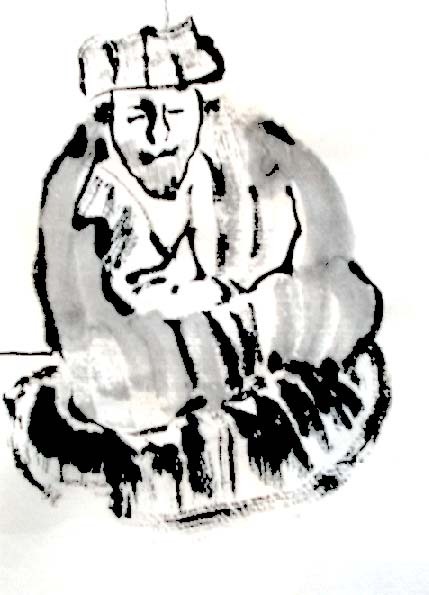 Dr. Maeda Cana, in her introduction to The Monkey’s Raincoat, summarizes the effect of successful composition: “As the mind of the reader passes from one short scene to another, there is created an illusion of movement in time and space, relentlessly onward through the vicissitudes of life. Probably because of the associative undercurrent ‘linking’ the verses in each sequence, a haikai does appear as an integrated symbolic picture of human existence with its figurative joys and sorrows, its critically decisive moments, tragic inevitabilities and flitting humor. The transitory incidents of life are somehow made to appear as ubiquitous realities in the cosmic continuum.” For the haikai poet, being moved to spontaneous expression defines poetic activity and illustrates an esthetic whose basic tenet is that the consistency of human character lies in appropriate awareness, not in dramatic overreaction. Parole Officer’s Note: The opening stanza of haikai no renga, the hokku, eventually morphed into its own independent verse form, the haiku, in late 19th Century Japan. Poetry For Sale, Haikai No Renga is available through Nualláin House, Publishers, for $16 US plus shipping and handling. Go to the Nualláin House, Publishers site here to access a description of the book and ordering information from the How To Order menu option. This entry was posted in Poetry, Poetry Society and tagged Basho, Dr. Maeda Cana, Earl Miner, Gloria Frym, haikai no renga, haiku, Haruo Shirane, hokku, Japanese haiku, Joen Moore, John Veglia, Keith Kumasen Abbott, Maureen Owen, Michael Sowl, Pat Nolan, Poetry, Poetry Blogs, Poetry Lectures, Poetry Lessons, Poetry Society, Poetry Talks, Poets, renga, renku, Sandy Berrigan, Schools of Poetry, Steven Lavoie, The New Black Bart Poetry Society. Bookmark the permalink.